Since 2003, Mazda has sold more than six million examples of the Mazda3. As one of the core models in the company’s lineup, comprising roughly a third of its annual sales, the venerable compact is hugely important to the automaker’s bottom line. With the release of the all-new, fourth generation car, Mazda has focused on the details, seeking to enhance the fundamentals of the driving experience while elevating the premium vibe both inside and out. Offered as a sedan or five-door hatchback in Standard, Select, Preferred, and Premium trim levels, the Mazda3 aims to offer buyers a viable alternative in a segment largely devoid of personality. 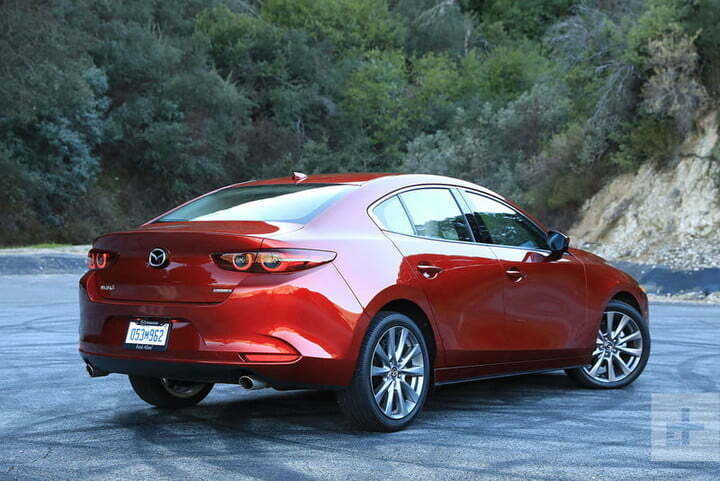 Mazda emphasizes an ergonomically-focused design, enhanced technology, and engaging driving dynamics. 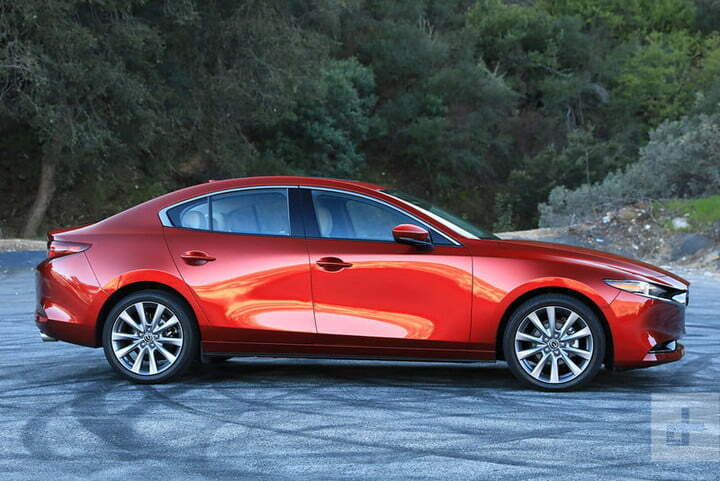 While the outgoing model didn’t need to make any apologies for its looks, the new Mazda3 is legitimately attractive. Starting at $21,000 for the front-wheel drive, automatic equipped sedan, our well-appointed tester rang up $26,500 before tax and destination charges. 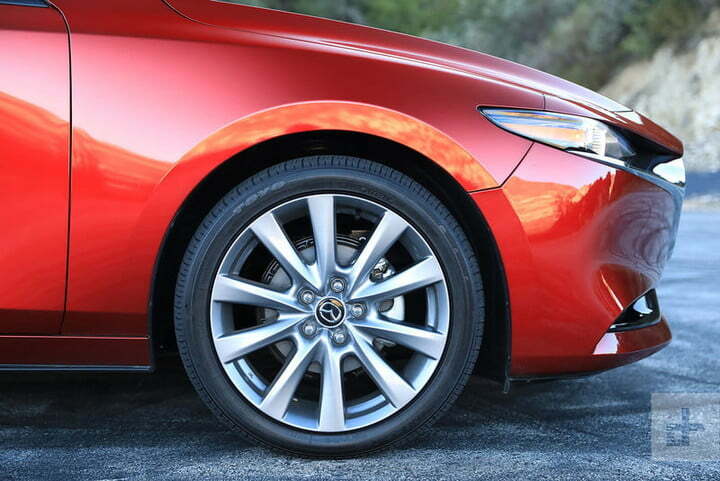 To find out what that kind of coin gets you, we got under the hood and behind the wheel of Mazda’s all-new compact to see if it’s worthy of your hard-earned dollars. 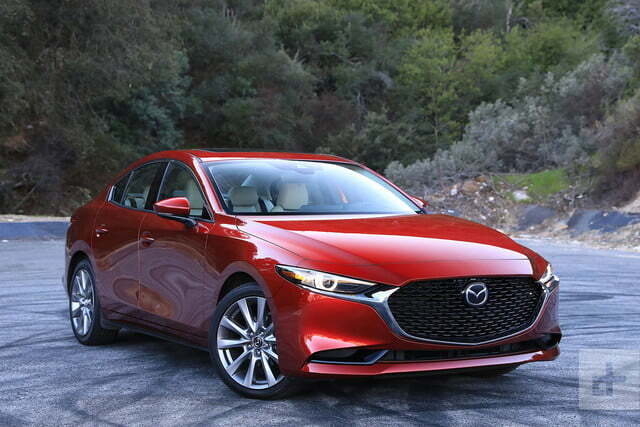 Whether configured as a four-door sedan or five-door hatchback, the new Mazda3 is a significant step forward from the outgoing model in terms of exterior design. While the third-generation machine didn’t need to make any apologies for its looks, the new model is legitimately attractive, particularly in hatchback form. Gone are the busy character lines, replaced by a simpler, more athletic look that Mazda describes as a more mature interpretation of the brand’s Kodo design philosophy. Marketing speak aside, the changes made to the interior make a whole lot of sense in practice – controls fall into hand naturally with a clear focus on usability with minimal fuss while the upgraded switchgear, interior materials, and overall layout are a significant upgrade over the outgoing car. An all-new 8.8-inch infotainment system is now standard across the Mazda3 lineup. It’s a big step forward from the old system, offering sharp graphics, fast response, and standard Apple CarPlay and Android Auto compatibility on all trims aside from the base sedan. Mazda chose to position the letterbox-style display deeper into dash than the old system and angled it slightly toward the driver. The company says this orientation reduces drivers’ need to take their eyes off the road and refocus on the screen, but doing so puts the display physically farther away from the driver. 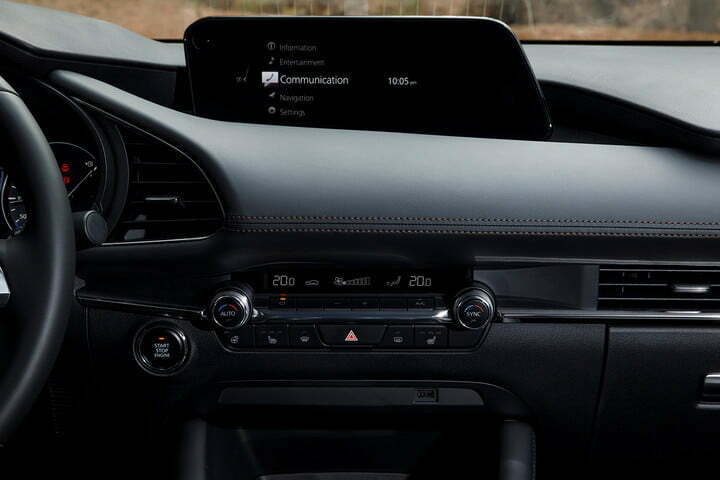 That prompted Mazda to ditch touchscreen functionality in favor of the hard buttons and pair of dials on the center console as the exclusive method of input. While the logic is sound and the control scheme familiar, the inability to reach out and simply tap the screen to navigate through the menu system, if we wanted to do so, is a frustrating annoyance in a touchscreen-centric world. The new infotainment system is paired up with two new audio packages – an eight-speaker base system or an optional 12-speaker Bose setup – both of which benefit from a more strategic speaker positioning. Mazda engineers told us that the speaker layout in the car was finalized even before the design of the car itself was set in stone, and a concerted effort was made to enhance overall sonic clarity while reducing panel vibration. 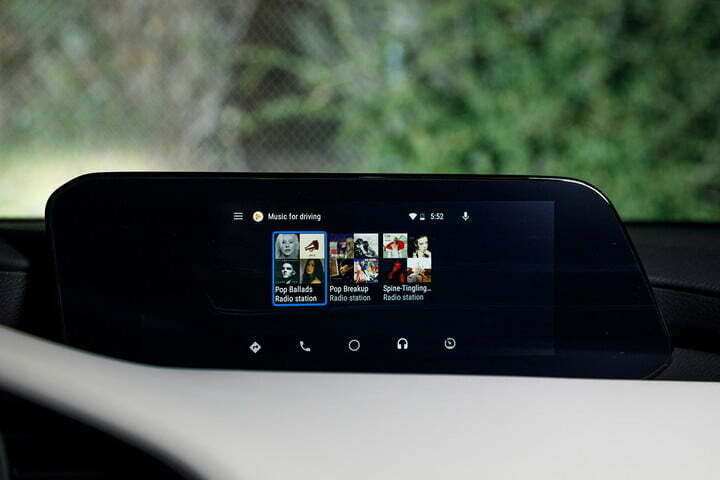 Both systems impressed us, but we’d probably spring for the Bose system anyway. 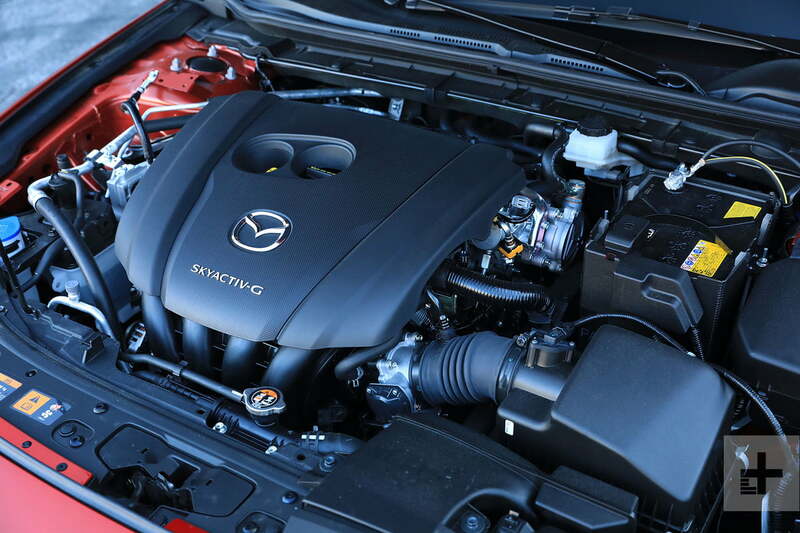 Under the hood of all 2019 Mazda3s sold in the United States will be Mazda’s 2.5-liter inline four cylinder engine, which makes 186 horsepower and 186 pound-feet of torque and can be paired up with either a six-speed automatic transmission or a six-speed manual. Front-wheel drive is standard across all trims, and all-wheel drive is optional. As part of the overall strategy to enhance the Mazda3’s sense of luxury, the automaker put significant development effort into the reduction of cabin noise and vibration, and those efforts start at the suspension, which has been significantly reworked for the fourth-generation model. Gone is the multi-link rear suspension setup of the outgoing car, replaced by a simpler torsion-beam design that Mazda says enhances lateral stiffness while allowing them to more precisely tune ride quality by reducing the number of suspension components that must work together in order to dispatch bumps in the road. Out on the pock-marked streets of Hollywood, the new setup seems to work well, though the ride quality-focused tuning did translate to some notable body motion while tackling the twisting tarmac of the Angeles Forest. Still, while spirited driving isn’t the Mazda3’s primary mission, it wasn’t completely out of its element when asked to maintain a brisk pace on technical roads. Mazda worked to reduce cabin noise by implementing a new bonding method in the body structure that dampens vibration while also sealing gaps between components to isolate sound, and the result is an admirably serene cabin, both in traffic and at speed on the highway. 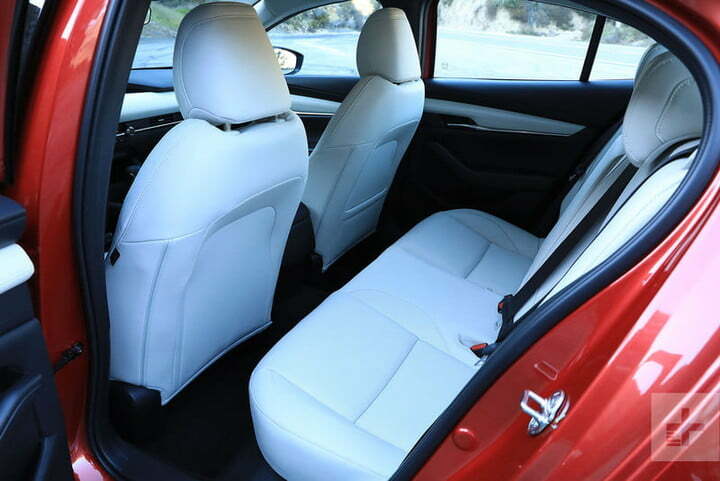 This, combined with the upgrade interior materials, new infotainment, and improved seat adjustability result in a noticeably more upscale driving experience than that of the outgoing model. The Mazda3 includes a three-year/36,000-mile limited warranty, three years/36,000 miles of 24-hour roadside assistance, and a five-year/50,000-mile limited powertrain warranty. Available safety features include safety features include Driver Attention Alert, Smart City Brake Support, Smart Brake Support, Blind Spot Monitoring with Rear Cross-Traffic Alert, Lane Departure Warning with Lane-Keep Assist, High Beam Control and Mazda Radar Cruise Control with Stop & Go functionality. We’re smitten with the design and practically of the five-door hatch, so that would be our configuration of choice for the new Mazda3. The six-speed automatic gets the job done but it’s starting to show its age, so we’d likely opt for the six-speed manual gearbox to make better use of the power on hand and for a more engaging driving experience overall. The optional soul red crystal paint looks great on the new Mazda3 and is worth the additional premium it commands, as is the optional Bose audio system. The Premium trim level brings worthwhile features like front and rear LED lighting, 18-inch wheels, and head-up display, so we’d spring for that as well. And although we haven’t had a stint in an all-wheel drive model as of yet, we’d wager it’s a worthwhile investment for the better stability in inclement weather. While the fourth-generation model doesn’t rewrite the playbook for the Mazda3, it does bring with it meaningful improvements that make the Mazda a more pleasant to look at and be in. Although it’s more evolution than revolution, the automaker’s efforts to bring the new model into a more upscale space have been largely successful, and buyers looking for a practical commuter with a semblance of personality would be wise not to overlook the Mazda3 when cross-shopping the competition.